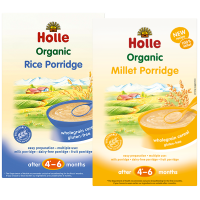 A full savoury meal for your growing baby using biodynamic ingredients, the highest organic quality. 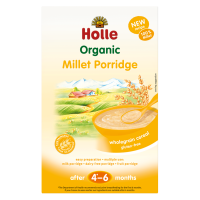 Add 2 teaspoons of the Holle Organic Weaning Oil for extra essential fatty acids omega 3 and omega 6. 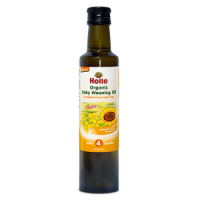 Add 2 teaspoons Holle Organic Weaning Oil, stir and slowly heat in water bath. Check feeding temperature. Gluten free, no added sugar, no added salt, dairy free, egg free, pureed texture. Stool firming properties. As part of a mixed diet, Once opened store in the refrigerator and use within 2 days. My daughter absolutely love them.They have really nice texture and taste really yummy.We will keep buy it. 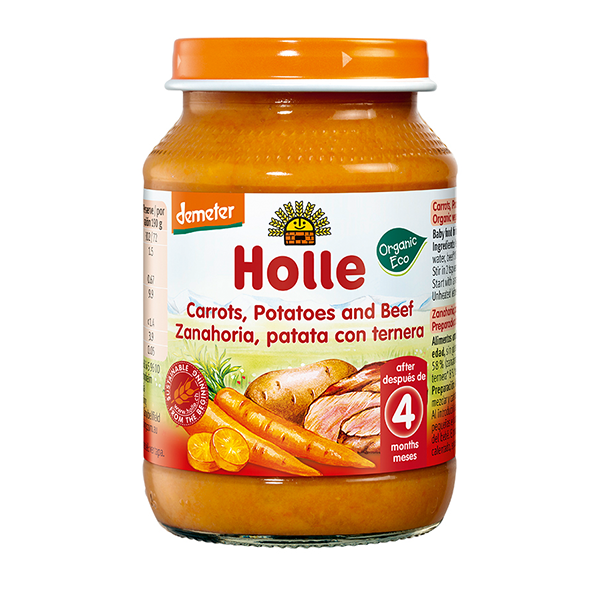 well after raving about Holle, my mum treated us to some of these jars, and her granddaughter loved them! This was her first taste of food containing beef so glad these organic options are available! We've been alternating between this and the beef meal, and whilst our little girl prefers the beef, she always finishes this as well. Quality, uncomplicated meal. Organic food in a glass jar that last up to 72 hours in the fridge after opening! 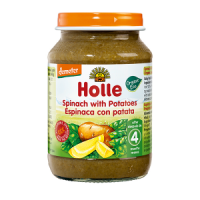 I was impressed with the quality (yep I tried it and it didn't taste horrid or processy) During the weaning stage I could use the food in the jar for three meals.